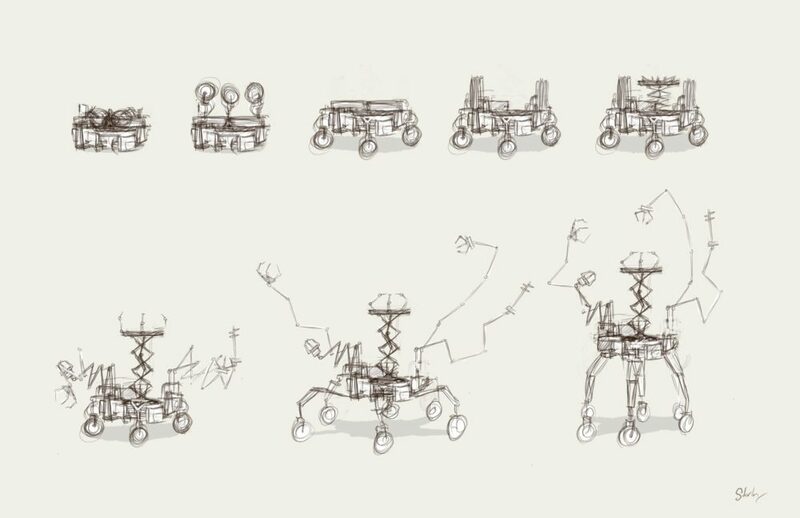 In honor of the Mars Curiosity Rover safely landing on Mars this afternoon I thought it would be nice to share some of these old Space Chimps rover concept drawings. It was fascinating to watch todays events unfold . I can’t help but reflect back to when I was in high school and watched Sojourner land on a dial up with my old mac tower. Moments like these really spark the imagination. Congrats to everyone at JPL. 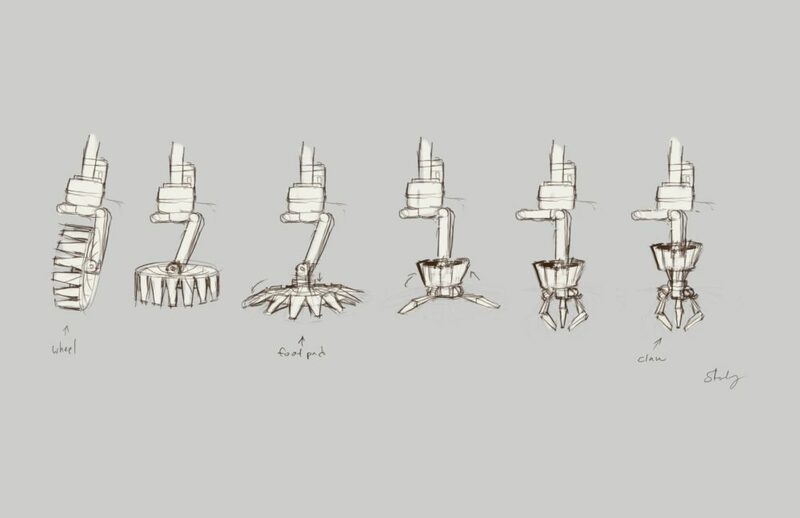 a detailed breakdown of the Chimps rover and all of its parts. 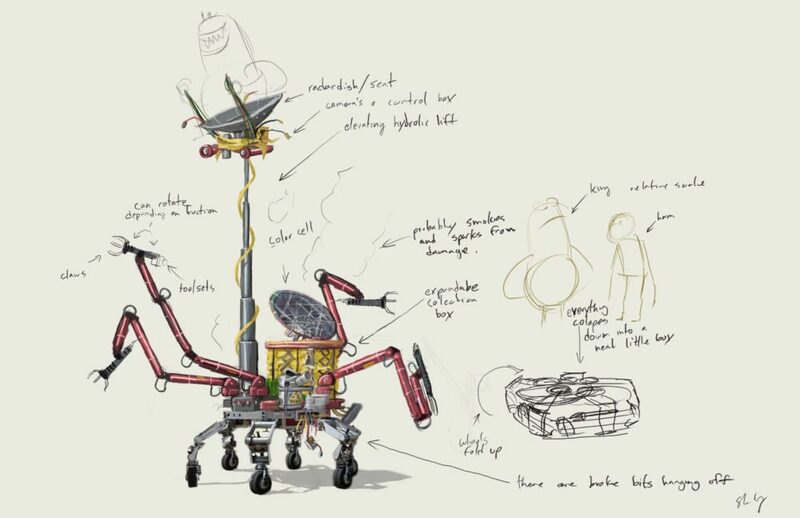 I've always loved rovers :) Go Curiosity! Did this get used in the movie? Nope, but i'm not going to let that ruin the moment. This stuff was really fun to draw.